iAM's unified platform solves healthcare's biggest issues including insurance fraud, medication adherence, prescription abuse and also the problem of medical data portability. With enterprise partners Guardtime, Healthcare Gateway, and DXS our solution will be accessible to more than 70% of the UK population. We secure records using industrial scale Keyless Signature Infrastructure (KSI Blockchain). This provides patients with an immutable GDPR and HIPAA compliant personal care record. Users intelligently share their health record data via Guardtime’s Health Information Exchange (HSX). 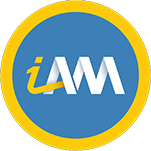 The iAM platform utilizes smart contracts to govern transactions and digital payments in our healthcare economy. It's well known that Fintech, Supplychain, Healthcare and Fiat currencies are set to be disrupted by Blockchain innovations. However we are yet to see this become a mainstream reality in each category. iAM will make a meaningful contribution to this space by proving out in real life that healthcare is indeed an industry that will benefit from the integration of Blockchain; namely trusted digital health records ( record immutability), decentralised record storage for enhanced security, Permissioned Sharing governed by smart contracts and a borderless payment system via a Tokenized healthcare economy. Unlike competing projects (Medicalchain, Mediblock etc), iAM has real world experience (i.e special olympics), a MVP in the form of a mobile application and our solution will sync to Doctor systems today making it accessible to more than 70% of the UK population.